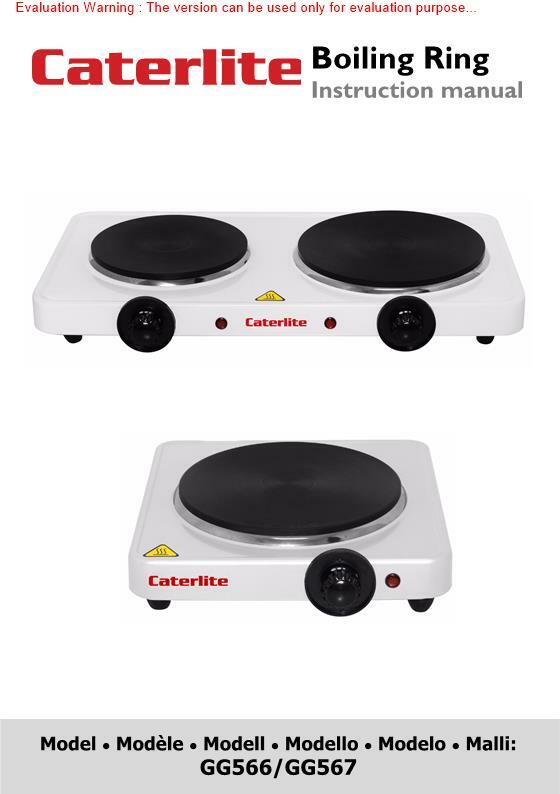 Compact and reliable, the Caterlite single countertop boiling ring comes with a range of useful features, including its non-slip rubber feet and safety cut-out. The hob is suitable for frying, boiling and searing, as well as reheating food, making it an ideal heat source for a busy kitchens. In addition, its simple thermostatic control and clearly marked on/off indicator light makes it highly convenient and easy to use. A great quality boiling ring, ideal for light duty commercial or home use.